Noted philanthropist Ron Woods' Siesta Ranch contains approximately 950 deeded acres and represents an opportunity to own an attractive agricultural and recreation property in the highly desirable Gallatin Valley. 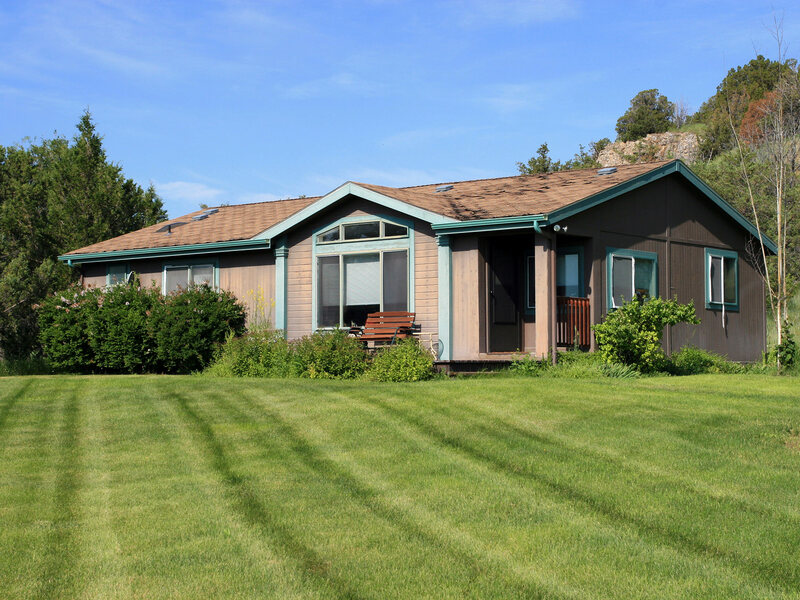 The Ranch provides commanding views of the Bridger, Spanish Peak, Gallatin and Tobacco Root Mountain Ranges and is only minutes from Bozeman-Yellowstone International Airport and the communities of Belgrade and Bozeman. 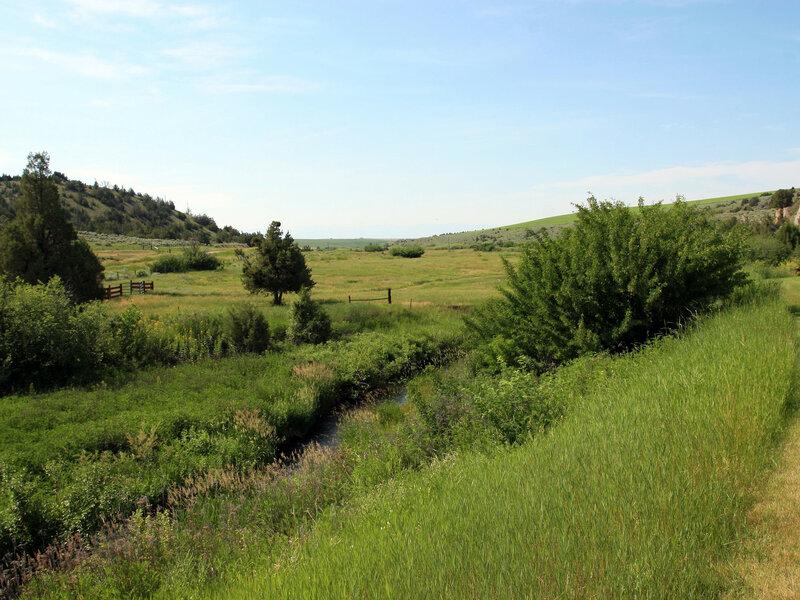 About one mile of Dry Creek stretches from the northern to the southern boundary of the Ranch providing the opportunity for small-stream trout fishing and creating an ideal habitat for upland birds and whitetail deer. Further enhancement to the stream and riparian thread would augment the fishing and wildlife habitat. Ring-necked pheasant, Hungarian partridge and sharp-tail grouse can be particularly abundant in this area of Montana. The Dry Creek corridor is also excellent habitat for whitetail deer, with the higher portions of the Ranch hosting resident mule deer and occasional elk herds. The Siesta Ranch is nicely improved with an attractive compound feel that includes three homes, two barns and corrals – ideal for horses or cattle. The owner’s home is very comfortable and is situated in a beautiful yard with mature landscaping and Dry Creek meandering below. There are two additional homes that would work well for guests or a Ranch Manager. An internal trail network across the diverse terrain provides miles of riding or hiking for the outdoor and equestrian enthusiasts. 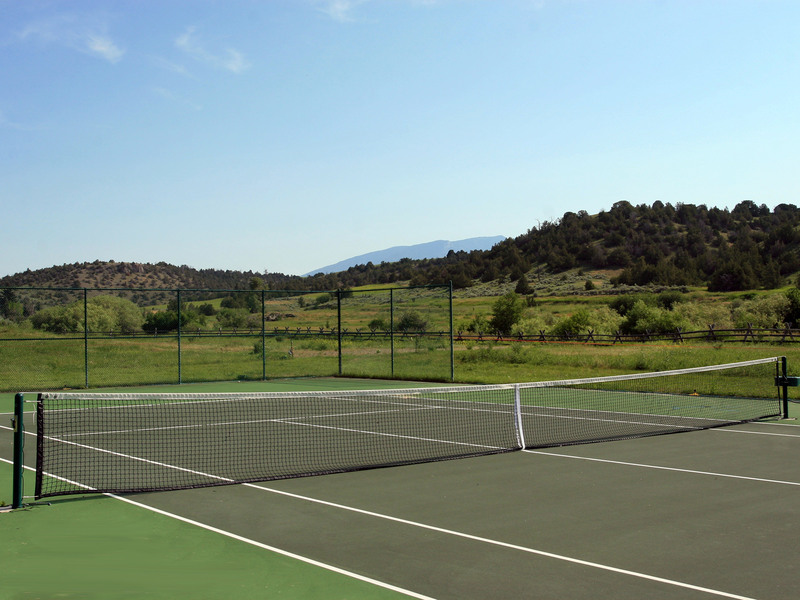 The private tennis court adds to the recreational amenities. The approximately 400± acres of dry-land farm ground is currently leased and produces consistent yields of wheat and barley crops. The Ranch also supports a small cattle operation that utilizes the native grass pastures. Located in one of the most traditional agricultural locales in the Gallatin Valley, the Siesta Ranch is a low-maintenance, productive and easy to manage ranching and agricultural operation, with convenient access to all of the community and social events in the Bozeman and Belgrade communities. 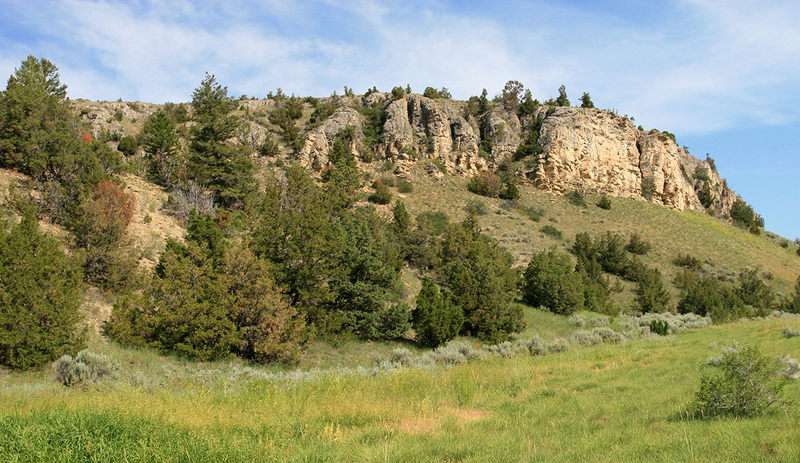 The Siesta Ranch is located approximately 14 miles north of Belgrade on Dry Creek Road and about 22 miles west of Bozeman. County road access to the improvements on the Ranch is provided via Dry Creek Road along the eastern boundary. Skinner Road accesses the dry-land agricultural fields along the western boundary and there are a couple of interior Ranch roads. Belgrade is a very convenient fifteen-minute drive and Bozeman is about 25 minutes away. Both cities provide all the services one would require in addition to fine dining, shopping, banking, medical and all urban services. Bozeman is a very active community that is home to Montana State University, the ‘Bobcats’, and is rooted in culture, art and the ambiance of a small college town. It serves as a gateway to both the North and West entrances into Yellowstone National Park, both of which are just a 90-minute drive. Recently upgraded, the Bozeman Yellowstone International Airport at Gallatin Field (BZN) in Belgrade offers three full-service FBOs and excellent commercial services through Alaska Airlines, Allegiant, Delta, Frontier Airlines, United Airlines and US Air. The seventh-busiest passenger airport in the Pacific Northwest, Bozeman offers direct flights to over a dozen major airports around the nation including Seattle, Salt Lake City, Denver, Minneapolis, New York and Atlanta. The next owner can expect to be parked and checking in at this modern facility within fifteen minutes of leaving the Ranch. The Ranch has run a combination of dry land wheat and barley and a small cattle operation. There are approximately 400 acres of crop land that has historically been leased to a neighbor, who has consistently produced solid yields of wheat and barley. The Ranch has a manager who runs a small cattle operation on the 550± acres of native pasture and Dry Creek riparian corridor. The Ranch has a solid set of working improvements including a system of corrals and pens with an enclosed barn that has a holding pen, calving jugs, feed storage and heated office space. There are additional out buildings including a four-stall pole barn, open two-stall log garage and assorted bins and sheds. Most of the improvements appear to be in good working condition. Contact Swan Land Company for further details. The Seller will convey with the Ranch 100% of whatever mineral, oil, gas, geo-thermal, hydro-carbon and gravel rights it actually owns, subject to reservations by previous owners. The Seller makes no representation as to the quantity or quality of any mineral or other subsurface rights appurtenant to the Ranch and independent investigation is strongly recommended. 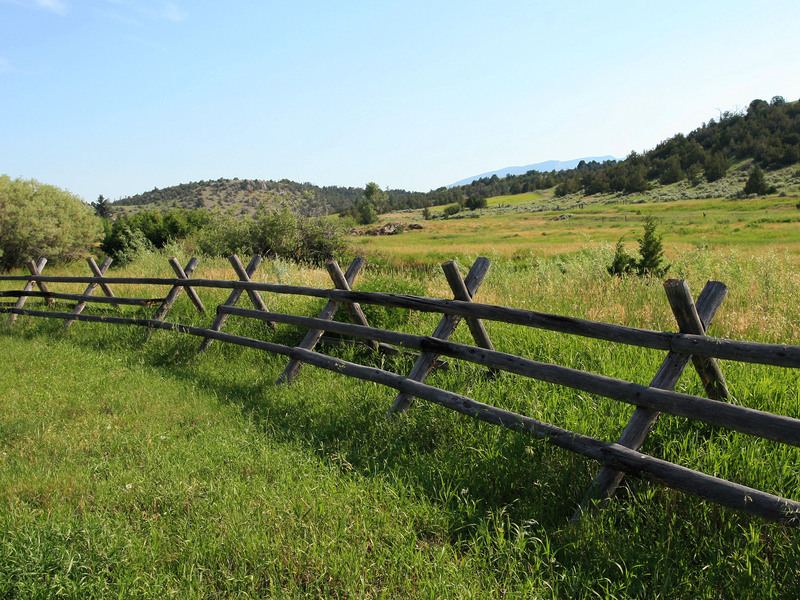 The Ranch improvements sit at an elevation of about 4,575 feet above sea level. Being out of the Bozeman and Bridger Mountain Range “Snow Zone”, this area is known for its temperate climate, good moisture and fertile ground. The average annual precipitation is 13 inches and the growing season is approximately 120 days. Summer day-time temperatures range from 75 to 85 degrees Fahrenheit June through September, dropping to about 50 degrees in the evening. Winter day-time temperatures average around 35 degrees with evening temperatures dipping to 15 degrees. Electricity and phone run to the improvements. Electricity is provided by Northwestern Energy. The Property also has propane, and satellite television is available. The Home is on an individual well and septic system. The real estate taxes for 2012 were approximately $4,880.72. The setting where the improvements are located is a beautiful landscape of mature trees and hedges along the banks of Dry Creek. There is excellent year-round county road access to the Ranch improvements via Dry Creek Road. The primary home is a very comfortable four bedroom, three bathroom home that was built in the 1970’s, but remodeled and updated by the current owner. There is an open floor plan and wood burning fireplace in the living room, which makes a perfect location for family gatherings. 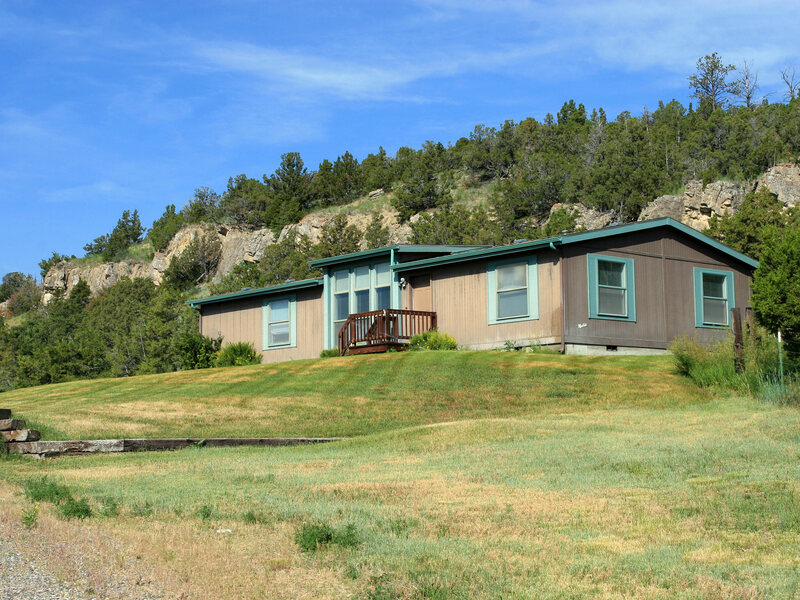 In addition to the primary residence, there are also two Marlette manufactured homes on the Ranch. These homes are well cared for and are ideally sited to capture the Bridger Mountain views. Both have three bedrooms and two baths and are perfect for guests or as a ranch manager’s home. There is an enclosed 40' x 80' barn with a heated office, working pens, feed storage and several calving jugs that double as horse stalls. The 34' x 54' pole barn provides great all season storage, with one enclosed ‘bay’ that doubles as a shop complete with wood stove. There are working corrals, three grain bins and some smaller storage sheds and buildings that complete the improvements associated with the agricultural operation. The owner of the Siesta Ranch, an avid tennis player, built a beautiful court on the banks of Dry Creek, just below the compound. There is a power line to the court for individual training with a ball machine. The court and fencing appear to be in very good condition. The Gallatin Valley, an area rich in plants, water and wild game, was used by Native Americans several hundred years ago. Initially referred to in the “Journals of Lewis and Clark”, this expedition provided the first written description of the Valley when they arrived in July of 1805 and named the three forks of the Missouri River – the Madison, Jefferson and Gallatin Rivers. In the early 1880s, European financiers invested money to complete the railroad through Montana. As a note of appreciation for their Serbian investors, the township – a blind railroad siding, was named Belgrade, after the capitol of Serbia. In 1883 the Northern Pacific Railroad finished the tracks from the Midwest to the West Coast through what is now known as Bozeman Pass. It is interesting to note that this route paralleled John Bozeman’s Trail – the same route followed closely today by Interstate 90. Menard, named for Teleford Menard was the terminus of the Milwaukee Railroad branch-line from Bozeman. The railroad was called the ‘Turkey Red Special’ for the variety of wheat raised here. Built in 1913, it had daily passenger service from Bozeman that soon became weekly and discontinued in 1915. The branch-line continued as a freight line until 1978. 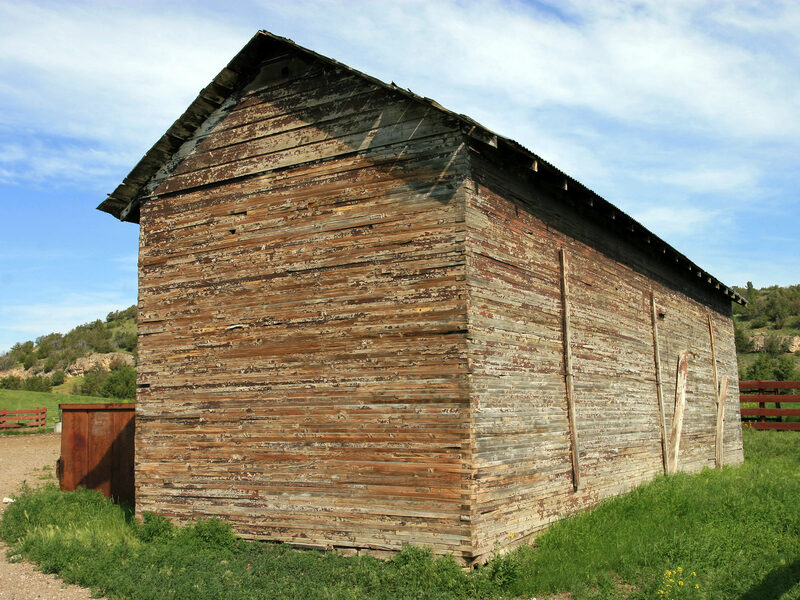 Earlier there was a railroad depot, store, grain elevator, post office, blacksmith shop and dance hall. The school from 1927-1934 was remodeled and became a house. Previously serving the area was the Mountain View School (Cracker Box) and the Meadowlark School (Horse Shoe Basin). The following stations or sidings were on the branch-line: Lux, Camona, Brewer, Wisner, Bush, Springhill (also called Cramer or Sexton), Erlice, Huffine, Torbet, Edilou, Hillman and Accola. The so called ‘stub trains’ picked up milk, cream and eggs at their many stops. The Siesta Ranch is strategically located in a classic Montana mountain valley between the Bridger Range to the east and the Tobacco Root Mountains lying to the west. 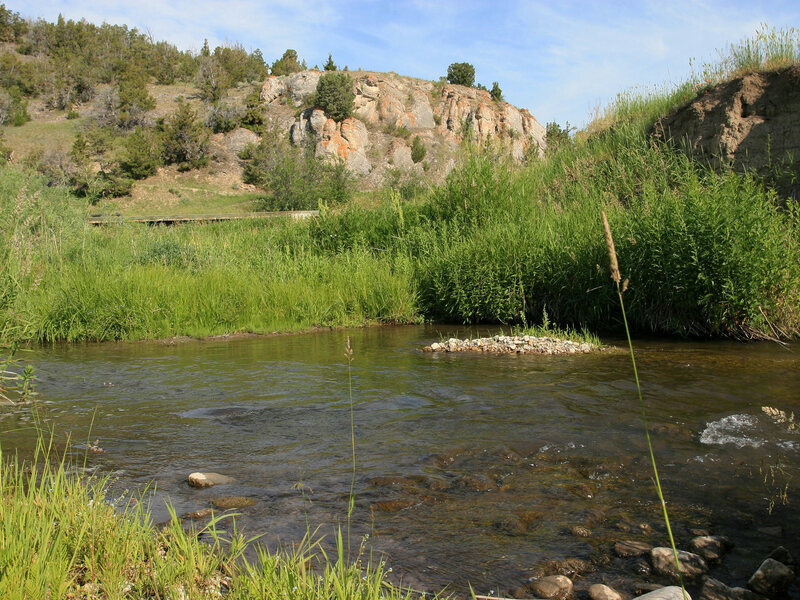 About one mile of Dry Creek stretches from the northern to the southern boundary of the Ranch providing the opportunity for small-stream trout fishing and creating an ideal habitat for upland birds and whitetail deer. Further enhancement to the stream and riparian thread would augment the fishing and wildlife habitat. Ring-necked pheasant, Hungarian partridge and sharp-tail grouse can be particularly abundant in this area of Montana. The Dry Creek corridor is also excellent habitat for whitetail deer, with the higher portions of the Ranch hosting resident mule deer and occasional elk herds. The Ranch is well situated to become an efficient equestrian facility. The internal trail network across the Ranch provides miles of riding in this beautiful mountain-foothills setting. The climate in Dry Creek allows for a predictable open winter for year-round access to the trails. The corrals and barn facilities are not overly improved, but are appropriate and very functional. The private tennis court along the banks of Dry Creek is a nice addition to the recreational amenities. The court is in a beautiful setting along the rocky bluffs of Dry Creek and appears to be in very good condition. The trout fishing in this part of Montana is some of the best and most diverse the Rocky Mountain region and the fishing world has to offer. The Siesta Ranch would be an outstanding home base, providing the devoted angler miles of rivers and streams to relish for a lifetime on a comfortable “day trip” basis. Less than 45 minutes from the Ranch are several of the renowned Montana rivers including the Gallatin, East Gallatin, Yellowstone, Madison and Jefferson. 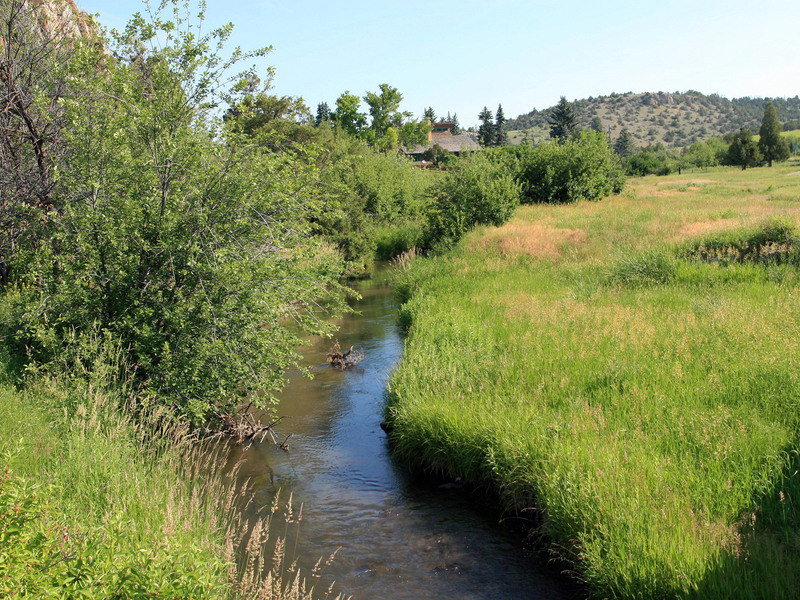 One of the noted spring creeks in the Gallatin Valley, BenHart Creek, is only about 20 minutes from the Ranch and the more famous spring creeks in Paradise Valley are less than an hour away. In addition to the local watersheds an angler can select from the Missouri, Big Hole, Beaverhead, Ruby, Hebgen Lake and all the fishing in Yellowstone Park within about 2 hours. The renowned fishing reputation of the area is bolstered by the Bozeman-based and internationally-recognized Simms Fishing Products. In this part of Montana there aren’t any days that you can’t fish someplace, but Mother Nature dictates that there are a few that maybe you shouldn’t. There are three exceptional alpine ski areas that are less than an hour’s drive from the Ranch and include the “Cold Smoke” of Bridger Bowl and the ‘Biggest Skiing in America’ with the combination of Big Sky and Moonlight Basin Resorts. In addition there are exceptional Nordic ski opportunities at Bohart Ranch in Bridger Canyon and Lone Mountain Ranch in Big Sky. Ranked as a “Top Ten Ski Town” by Skiing Magazine, Bozeman offers the hard-to-find small town feel coupled with a full range of cultural, educational, medical and commercial amenities. 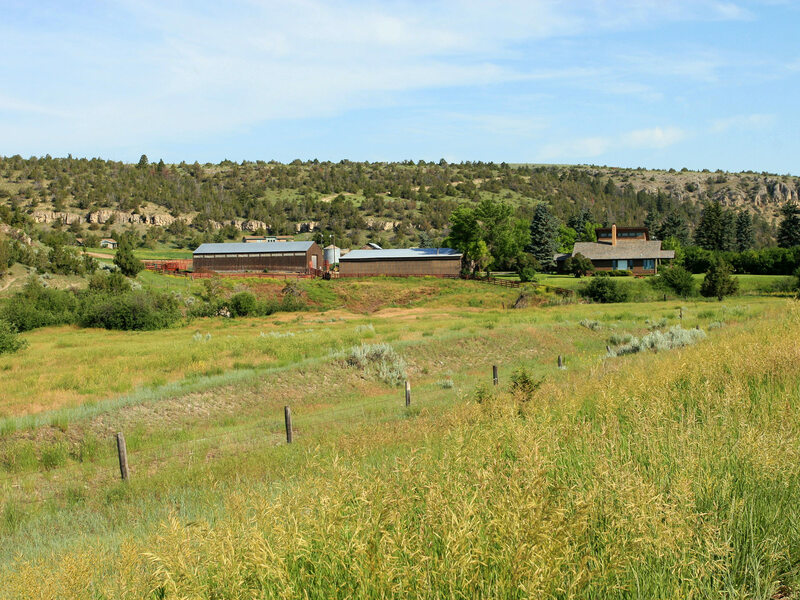 Attractively priced at just over $4,000 per acre, the Siesta Ranch offers a great opportunity to buy a productive agricultural and recreational ranch in southwest Montana. This holding is a must see for any investor who has been patiently waiting for an opportunity in Montana’s prestigious Gallatin Valley for agriculture, recreation and the potential for modest future development. 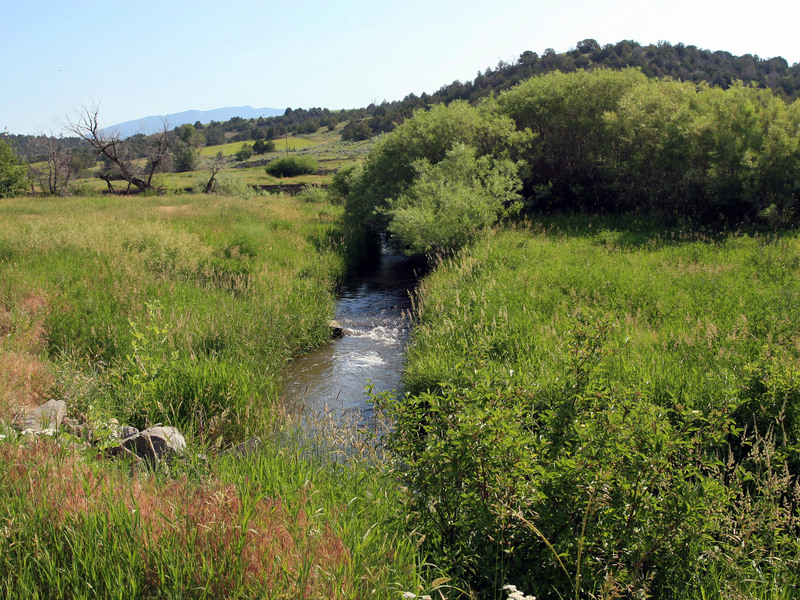 Siesta Ranch also has potential for a conservation easement. It is rare to find a ranch with a true agricultural feel so close to all of the modern amenities of Belgrade and Bozeman. 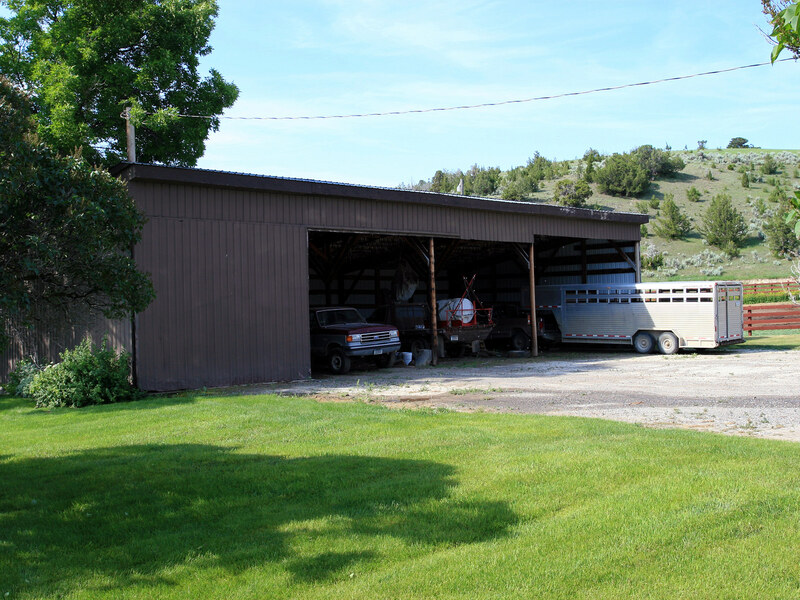 The Seller has also prepared a full inventory of personal property and ranch equipment that can be purchased in addition to this transaction via a separate Bill of Sale. The inclusion of this personal property makes this an even more attractive package. Please inquire with listing Broker Tim Anderson for a detailed inventory list and budget. The Sellers reserves the right to affect a tax-deferred exchange for other real property in accordance with provisions in Section 1031 of the Internal Revenue Code. The Purchaser will not be required to incur any additional expenses nor to step into the chain of title on any property which the Seller may acquire. This Offering is based on information believed to be correct; however, it is subject to errors, omissions, prior sale and change or withdrawal without notice. Information contained herein has been provided by the Sellers or obtained from other sources deemed to be reliable.